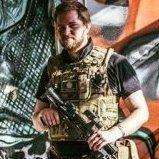 Hi folks,quick question from an airsoft virgin! I have a g and g m4 aeg an am chuffed to bits with it...can you get a good electric pistol......I dont really want to have to carry 2 types of power into the game and ive heard gas loses power due to weather etc. is there such a thing as a good electric pistol and what do you recomend!?? There are Electric machine pistols,popular as sniper backup weapons. Sites: local woods with friends, or anywhere people offer. i live quite far from any sites though. JG mac 10 is good.Eliteairsofter100 also added some good things below. All of those should be more than fine for skirmishes. I see people using the MP7 (Which is actually about £100) and the Glock 18 (around £60-£70) all the time. I didn't really recommend the semi-auto type aeps since I don't think they fit the AEP.Just a personal thing really. anyway,OP and the other guy can consider those too,thanks for adding them to the list. Fair enough, good reasoning, I think they actually do Full-auto though as well, If you take a peak at the 1911 selector. Auto can also mean auto reloading, as well as "Fully" auto, which means continuous fire from one pull of the trigger until you release it. So the A in AEP doesn't have to mean it's fully auto, it just means it's self loading. In the sense that the gun "automatically" loads the next round for firing without the user having to manually load the next shot. Not that anyone asked to know, I just think people get caught up on auto meaning one thing or the other when it can mean both. It's a technicality. I've always understood the "A" in AEP stood for "Airsoft", as in Airsoft Electric Pistol, same as with AEG, not Automatic. I take it as meaning either. But, as I said above, I take 'Auto' in that context to mean auto loading not fully automatic fire, but 'airsoft' does fit too. I think the acronym ought to be EAG if it did mean airsoft though, otherwise it sounds like we're ordering stuff backwards like the Europeans do. I've got one of the Cyma Glock 18's, its a copy of the TM version, takes all the same upgrade parts. Its pretty good as a back up. The battery will easily do about 300 to 360 rounds full auto (I go about 4 or 5 game days before recharging) before needing recharging and the rps is ok on full auto. Everything you would regularly upgrade on an AEG is possible with this, barrel, spring, hop bucking and nub. Downsides, fiddly size of the standard 30 round mags so I wouldn't recommend trying to tac reload in the middle of a fire fight. The mag release catch can be pressed easily in an ill-fitting holster, and the correct sized serpa style holsters are few and far between. Range isn't super impressive, mine is about 220 fps currently ( haven't tried upgrading, as this is for CQB mainly). Hey folks...thanks for the gleaming feedback! maybe I should make things clear...I am looking for an electric pistol. I don't mean a full auto firing Uzi or Ingram...im looking for a pistol (quite fancy a glock!). I just need a backup sidearm that is discreet to carry and I dont have to worry about carrying extra gas etc.I realise that it might not have the power/range but since I use a short m4 that can cope with most cqb situations I just need an emergency sidearm to pull out if im caught reloading or need to pull it out in a situation where my m4 will be too dangerous to let fly at very close range....I dont want to hurt my fellow airsofters...I just want to make a clean,safe hit....so if anyone has any good info please feel free to share!